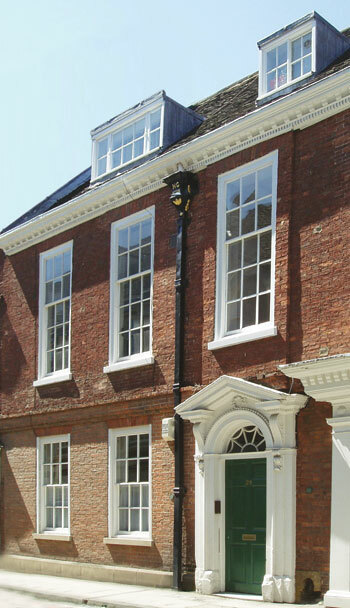 This composite building, constructed between 1735 and 1739 was used by Haughton’s School for the last 55 years of its existence (1901-56). William Haughton, an ex-Sheriff of York, whose will was proved in 1773, left an endowment of £1,300 to pay for a master to educate 20 poor children in the parish of St. Crux. in 1819 the schoolmaster’s salary was £180. In 1824 there were said to be "20 or 30 poor boys taught by the rector, English, writing and arithmetic free, and such whose parents desire it and are properly qualified, Latin". 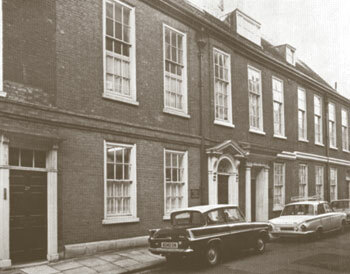 At that time the school used a room belonging to St. Crux parish in Whip-ma-Whop-ma-Gate; later it moved to a house in Fossgate, and was still there in 1872. In 1875 it had been moved to a former warehouse in the parish, and in 1897 the school was held in St. Andrew’s Hall, Spen Lane. The move to St. Saviourgate was made in 1901. It was a day and boarding establishment for fee-paying pupils, governed by the trustees of the charity and receiving an income from the endowment until 1947. Later it became a private school and closed in 1956, at which time it was purchased by the Trust and converted into flats and offices. The original five-bay house of 1735 was extended to the north-east four years later. In recent times the property has been subdivided into two, with the north-eastern half of the original house and extension forming No. 31. The south-western portion is No. 29. Close dating of each property is supplied by two rainwater heads of lead, one with the initials HG and the date 1735, the second with the initials TW and the date 1739. 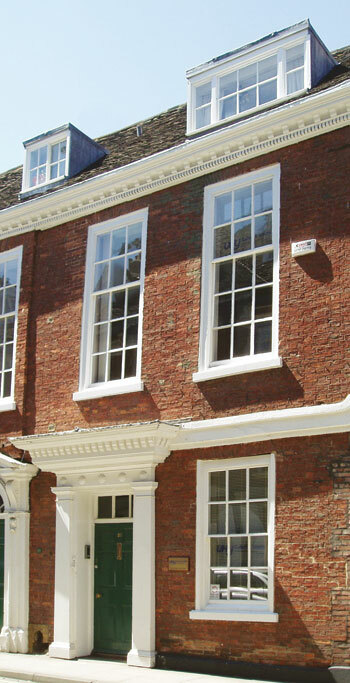 Towards the end of the eighteenth century the original entrance was replaced, as was the overall eaves cornice. On the ground floor the entrance hall has a panelled dado, picture rail and cornice. The rear, containing the stairs, is all modern. In No. 31 St. Saviourgate the room to the right of the entrance is fully wainscotted with bolection moulded panelling above the dado rail. Above is a frieze with modillioned cornice. In the centre of the rear wall is a fireplace with moulded architrave. The mantelshelf is supported with elaborate consoles, decorated with Acanthus leaf design. Rising in two flights with quarter-landings between ground and first floors, the staircase has heavy turned balusters of oak with fluted shafts. The square section newel posts have flutings, and there is a heavily moulded handrail. The staircase is lit by a large round-arched window in the rear wall. At the stair head two original doorcases open off the landing.